iSHSHIT: Is Siri coming to your television? 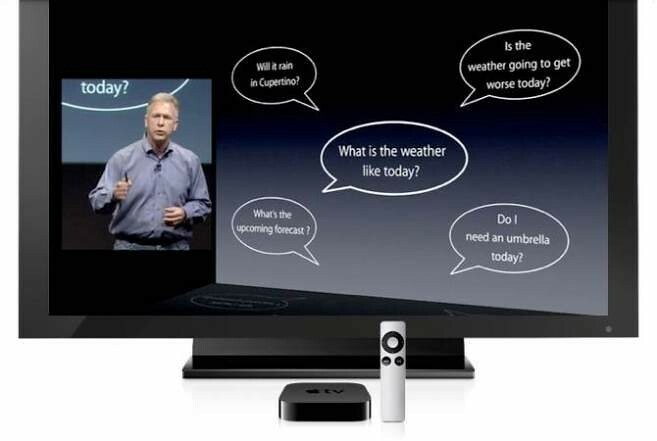 One interesting application of the Siri technology would be with Apple TV (either the existing device or actual TV’s that Apple may launch). We think this would solve the industry’s difficulties with remote controls… We think it would be very compelling to own a TV or a device that could quickly answer the request, “I want to watch the Yankees/Red Sox game,” by changing the TV channel without requiring the user to look at a guide or use a remote control, or even specifying HD or standard definition feeds, since you would want the HD channel if available. Or, you could instruct the device to record all new episodes of a show, without leaving the program you are currently watching. Finally, since you are online, a Siri enabled TV could answer whether your iPhone or computer has received a new message, and let you respond accordingly.